Every woman and gays want to look pretty and presentable. Make-up is a way by which a woman can make her self look and feel better, the same also for gays. But sometimes, this makeup can make one look much older than her real age, or the other times, a good makeup done can make one look much younger. Learn how to look your best in less time with these tips, shortcuts, and smart tricks. Foundation or applying base to make your skin complexion look even is the most basic part of your makeup. In fact it’s the first step in any makeup whether its casual or formal. Choose the right shade. If your concealer is too light, it will accentuate dark patches. 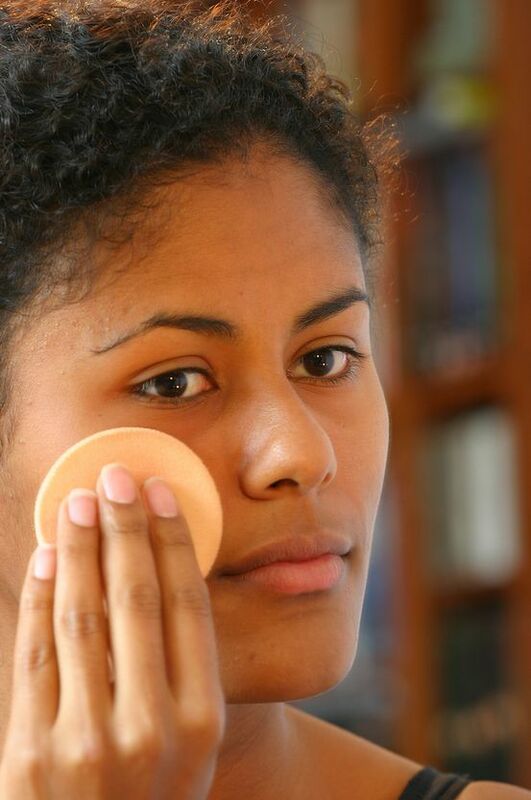 Don't rub the makeup from side to side, which will actually remove the product from the skin. Pat it gently. Keep concealer away from the outer corners of the eyes, where it can highlight fine lines. Quick tip; A full face of foundation can feel heavy, so instead of applying it all over, touch up only those areas where your skin tone appears uneven. Choose a concealer that is long wearing or gives medium to full coverage in a shade that's close to you skin tone. A few coats of mascara are all you really need to appear awake and aware — and to walk out the door. For a more polished look, add a quick sweep of eye shadow. Multiple colors can be fun, but you can work wonders with just one. If you're using just one color, don't apply it to the brow bone. Working with two or more? Apply only the lightest shade to this area. Quick tip; no matter what your hair color, use black mascara. It will define your eyes and make you appear more wide awake .a neutral eye-shade acts as a base and will instantly brighten eyes. Use one with a bit of sparkle for a more festive look. Using the stick itself, apply lipstick starting at the center of both the lower and upper lips and moving out to the corners. Press your lips together lightly and rub them against each other to distribute the color and help absorb the pigment. Now apply more color using your pinkie or lip brush (to control the amount of product you use). This second coat will provide a longer-lasting effect. Never draw along the lip with a lipstick wand. It's too imprecise, and you risk winding up with clown mouth. Using a medium dome brush, lightly tap a dish of powder blush. Smile so you can see the apples of your cheeks. That's where you want most of the color. Starting there, apply the blush in a light, circular motion, blending back toward the temples. Using only what remains on the brush, gently dab color on your chin to round out the overall effect. Quick Tip; to choose the right color for a subtle look, find a shade that's similar to the inside of your lip. IT'S EXACTLY WHAT I DO TO GO TO SCHOOL, LOL, I WANT TO DO MY MAKE UP QUICK AND NATURAL. THEN PEOPLE TELL ME "OH YOU HAVE A BEAUTIFUL COMPLEXION" AND I'M ALL LIKE "THANKS" LOL I ONLY PUT FOUNDATION WHERE I NEED IT, MASCARA, EYELINER AND LIPGLOSS.